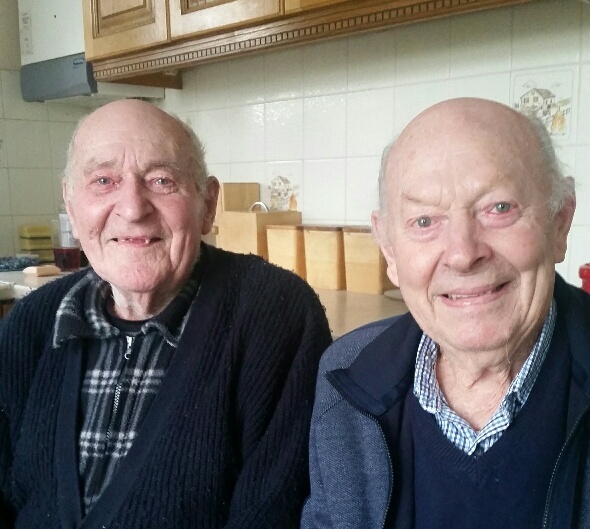 I had the great pleasure of spending a couple of hours one November afternoon talking and laughing with Toby and Bonzo Biggerstaff, brothers born and bred in Sarratt. “Summertime swimming in the river Chess, we’d go down to the river over ‘white bridge’ turn left and just a bit along the bank the water would get deep as it was held back by the water mill. We would dive in from the bank… Well Bonzo dived, Toby belly flopped and made a big splash! There was no sitting indoors for us, we were out roaming and free. Toby shared that he can remember from that time that 32 boys were called Bill and there were 22 called George! Thank you Toby and Bonzo for your time. We could have chatted all day as there is some much to say about ‘back in the day’. What five things do you love about Sarratt? Perhaps you will let me know by emailing here.